Gettysburg Licensed Battlefield Guide Bill Dowling is standing at Devil’s Den near the path leading to the top of the Den from the parking lot. He owns the photography studio, Bill Dowling Photography. This view was taken facing southeast at approximately 5:30 PM on Thursday, June 24, 2010. Gettysburg Licensed Battlefield Guide Bill Dowling is the host for our series on Gettysburg Photography. Bill is a native of Connecticut, and has been a Licensed Battlefield Guide since 2006. He is a professional photographer specializing in historical landscape photography. His studio is Bill Dowling Photography. To contact Bill by e-mail, please click here to reveal his email address. 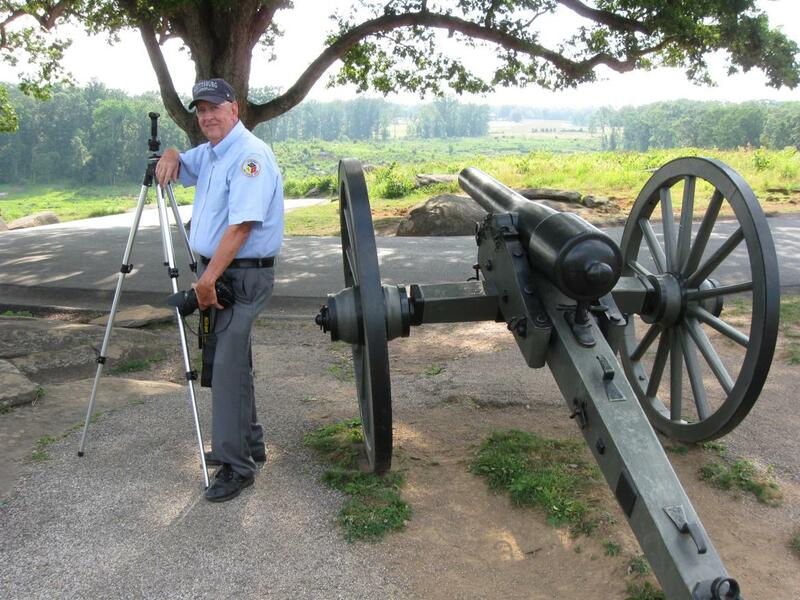 In today’s post, Gettysburg Licensed Battlefield Guide Bill Dowling shows the equipment needed on the battlefield to take pictures. 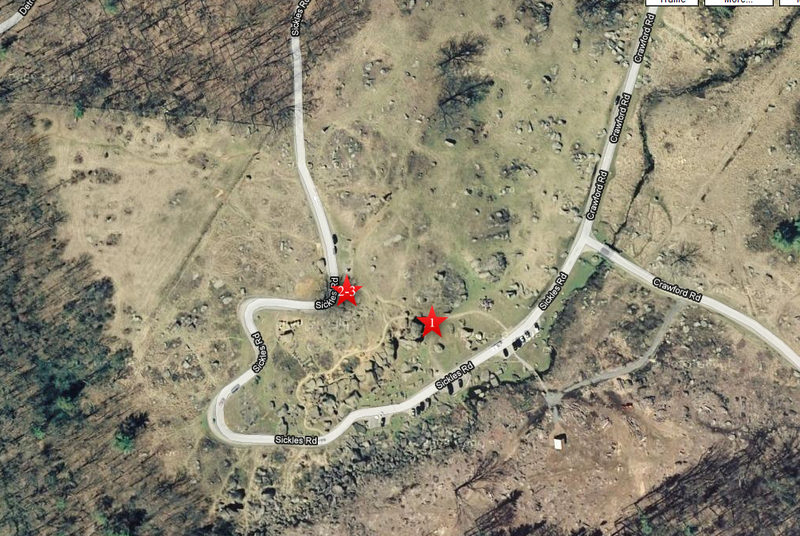 This map shows the location of the videos for the Gettysburg Photography posts. Video #1 was shot at the northeastern side of the large rocks at Devil’s Den. Videos #2 and #3 were taken at the top of Devil’s Den near the cannon marking the location of James Smith’s New York Battery. This map was created facing north at approximately 11:00 AM on Sunday, June 27, 2010. In Video #1 Gettysburg Licensed Battlefield Guide Bill Dowling introduces himself and explains the purpose of this series. This view was taken facing southwest at approximately 5:30 PM on Thursday, June 24, 2010. Licensed Battlefield Guide Bill Dowling is standing at the top of Devil’s Den near an artillery piece marking the location of Smith’s New York Battery. Little Round Top is in the background. This view was taken facing east at approximately 5:30 PM on Thursday, June 24, 2010. 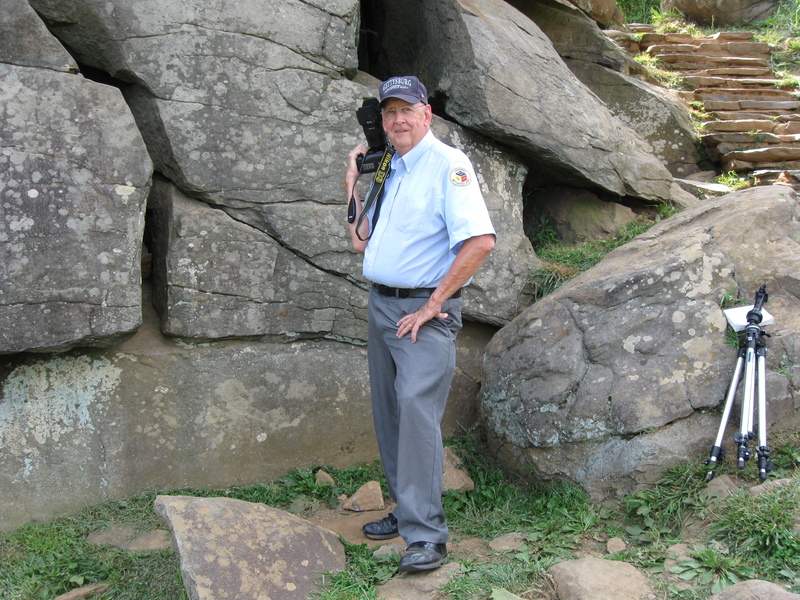 In Video #2 Licensed Battlefield Guide Bill Dowling is standing at the top of Devil’s Den near Smith’s New York Battery. He talks about how one should be thoroughly familiar with the operations of the camera that they are using. This view was taken facing east at approximately 5:30 PM on Thursday, June 24, 2010. Bill Dowling is still standing at the top of the Devil’s Den area in the location marking Smith’s Battery. Confederate soldiers advanced towards this position from the ridge in the background (Warfield Ridge/Seminary Ridge) on the afternoon of July 2, 1863. This view was taken facing west at approximately 5:30 PM on Thursday, June 24, 2010. 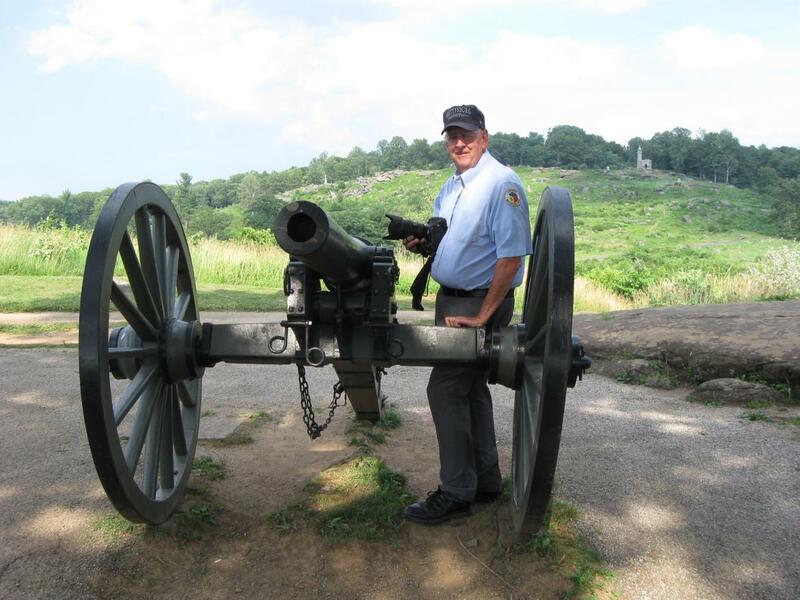 In Video #3 Bill Dowling is standing at the top of Devil’s Den near the cannon marking the position of Smith’s Battery. He explains the importance of using a tripod, and acquiring a lense shade and shutter release for your camera. This view was taken facing west at approximately 5:30 PM on Thursday, June 24, 2010.